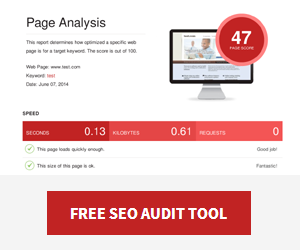 Have you noticed an increase in referral traffic to your website? On the surface it sounds like a win, but instead of real visitors it could the wave of spam bots currently ruining Google Analytics data for thousands of websites. There are a few methods to combat this, but most are time consuming and ineffective. I’ll show you an easy way to stop Google Analytics spam, but first let’s look in more detail at what is going on. Examples of typical referral traffic sources are social media websites, or other websites who link to you like local directories. 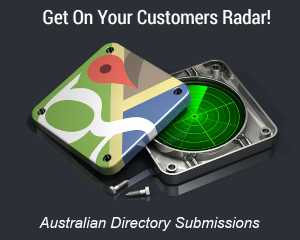 These real visitors spend time on your website, some will visit multiple pages, contact you or make a purchase. Taking a look at your referral visits in Google Analytics now, and look for referral domains with zero time on site, and 100% bounce rate. Most of these will be examples of Google Analytics spamming, a new game for those with dubious character. They are not actually linking to your website, but instead send out spam bots which are counted as referrals by Google. The internet could not exist without bots and spiders crawling pages, in fact Google wouldn’t be able to find your website without them. Unlike these spam bots, most are well behaved, complying with standards that require them to identify themselves, preventing them from appearing in Google Analytics data. The problem is that there can be 100’s of visits each month from each of these analytics spammers, which can seriously skew SEO metrics like bounce rates and time on site in the wrong direction. Needless to say, dealing with this has frustrated and infuriated many webmasters and SEO’s. So why are they doing this? These spam referrers are generating traffic by tricking curious webmasters and website owners into visiting their websites. Some are trying to sell spammy services, others are sending people to affiliate and shopping sites. What is Google doing about Analytics referral spam? Shouldn’t Google do something about spam bots? After all it’s their product and customers that are effected. 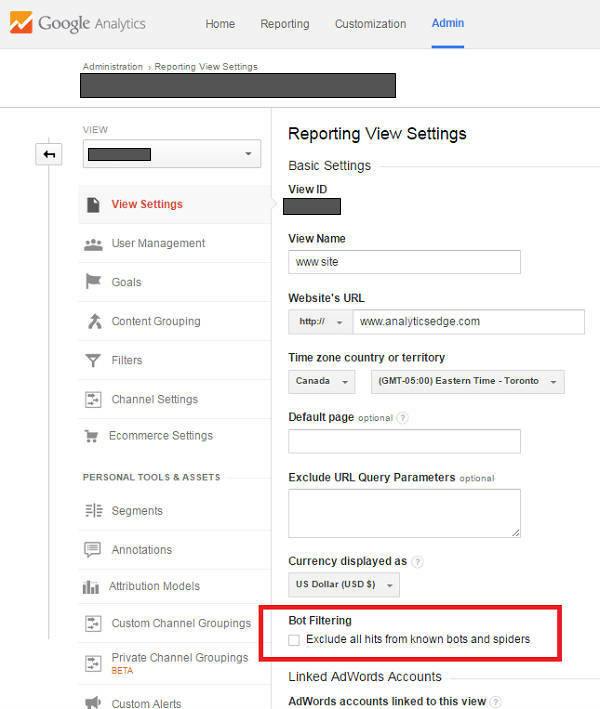 Well there is a “bot filtering” checkbox in Google Analytics (you can find it under view settings). Unfortunately, it doesn’t seem to do much at all and failed to stop the spam bots in my experiments. Still it doesn’t hurt to check the box in case it helps in future. How can I stop referral spam in Google Analytics? Many folks have suggested creating Google Analytics filters for each spam domain. Others have recommended editing a .htaccess file to block them from even visiting the server (tricky for those that are non-technical). Both methods work, but there is a fatal flaw. If we rewind 12 months there was one main offender spamming Google Analytics. Over the last six months, copycat sites and spam bots have multiplied exponentially. 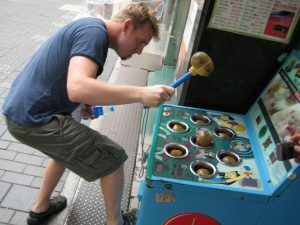 This means that if you’re using Google Analytics filtering or .htaccess blocking to combat the spam, it’s turned into a game of wack-a-mole. Every time a new spam referrer pops up you need to add a new filter or modify the code in your .htaccess file. Thanks to Melbourne web developer Luke Williamson, the problem of Google Analytics spam can be solved by installing the Analytics Spam Blocker plugin for WordPress. With a constantly updated list, the plugin filters out the majority of these spam bots by marking them as spam in to your .htaccess file, preventing the spam bots from ever reaching your website. I saw a dramatic drop in referral spam after using this plugin, there are still some visible, but I’m sure they’ll be added to the regularly updated list. How do you deal with Google Analytics spam? Hey Chris, nice find with this plugin. I am going to give it a try. I have been manually adding lines to my .htacess files but yeah, it is a real drag. Do you know what the lines of code are that it uses?